Hello, we're sorry you're feeling this way regarding Guitar but thank you for letting us know, our user's feedback is essential to us. We have noted your issue, and we'll make sure its considered in future versions! I played acoustic guitar for about 30 years and thanks (not really) to arthritis my hand won’t conform to any playing position nor is there enough finger strength to press a string down. It was exciting to think that a virtual, digital guitar might somehow bring back the pleasure of playing. This app ain’t it. 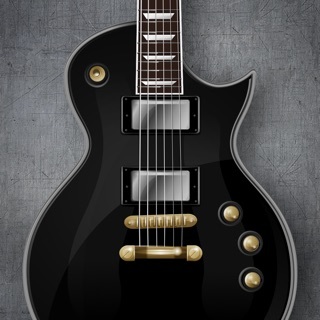 Putting aside my desire to “play” guitar on a screen, let’s talk about the app. If the free version is supposed to serve as a trial it fails from the start. The insistence to subscribe is immediate with no way obvious way to back out of the sign up screen. Strumming activates the phone’s control panel. Playing notes activates the phone’s zoom lens. Every few seconds another ad/link/prompt interferes with the attempt to TRY the app. Totally aggravating, I can’t imagine how anyone could be enticed to subscribe without an adequate trial experience. For me they did excel at turning off a prospective user/subscriber and greatly inspired this negative review. It’s like they were begging for it. Hello there, thank you so much for reaching out to us. Customer service is our top priority, and we're so sorry to hear that your experience has been anything less than flawless. We have noted your feedback, and we'll make sure its considered in future versions! We also would be happy to discuss this directly at support@gismart.com.